Earlier this month a boat carrying 500 Eritrean men, women, and children caught fire and capsized off the coast of Lampedusa, an Italian island famous as a destination for asylum seekers and for its beautiful beaches. Only 155 people survived and the scale of the incident, along with the difficult attempt to recover bodies from the wreck, shocked people across the world. The Lampedusa disaster highlights the desperation and vulnerability of asylum seekers, many of whom flee their home countries in crowded and ill-equipped boats to try and find a better life in Europe. Furthermore, it has brought attention to Europe’s struggle and in many cases, reluctance to deal with immigrants, many of whom have legitimate claims to asylum. According to the UNHCR, so far this year more than 13,000 people, mainly from Eritrea, Somalia, and Syria have attempted the perilous journey to arrive at Lampedusa from Northern Africa. Lampedusa which has a population of only 6,000, is ill-equipped to deal with and aid those fleeing war, persecution, and poverty. Berni Searle’s haunting video Seeking Refuge addresses the experience of asylum seekers and immigrants. Seeking Refuge asks what it means for someone to leave their home for a new land and a different life. The short video films her moving across the dramatic landscape of Lanzarote Island, another historically important destination for immigrants . She explores what it means to survive a dangerous journey and wander, aimlessly in a new land. Her video, focusing on the distant horizon, the ocean, her feet on the pebbly, volcanic beach… is filled with stunning, yet bleak landscape that leads one to ask what one loses and what one gains from the process of migration and how this affects ones identity. Today’s guest post comes from Peter Wheeler of the Nature Conservancy. 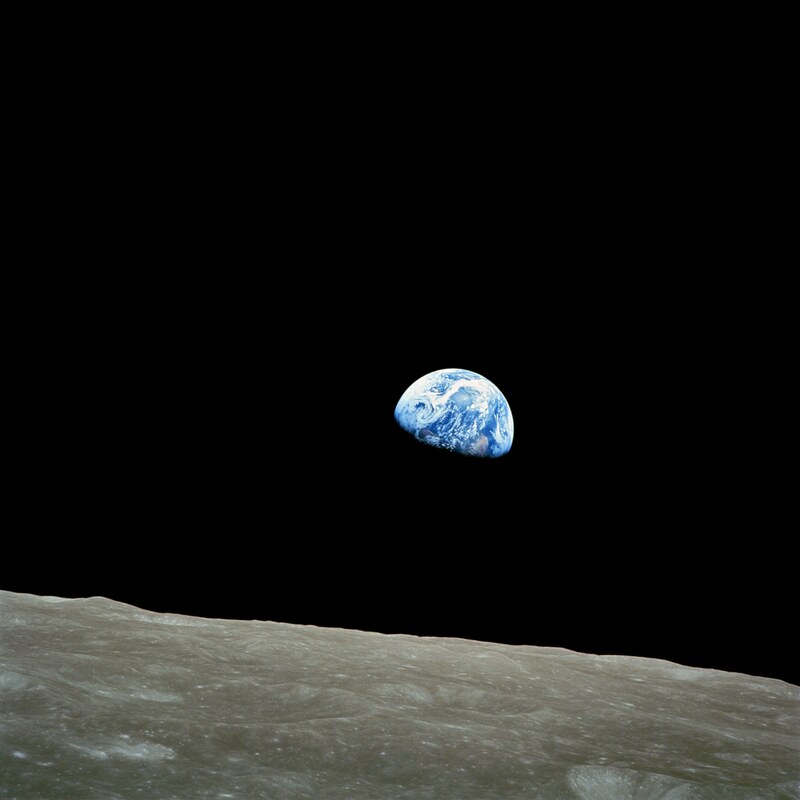 Taking leave of this planet, to gain a new perspective on our planet, Wheeler gives us a moment of pause to reflect on the iconic Earth-rise photo that was taken during the Apollo 8 mission in 1968. While filing through the many issues that concern us here on earth, this legendary photo altered are perception of the planet by showing us what it looked like from afar. Here is an apt moment to reconsider this image, our planet, our role upon it, and how Earth Matters from an entirely different vantage point. What more exciting first line of a story could there be for any earth dweller? To boldly go… three men aboard, among our billions, setting off on the ultimate adventure. Only 11 years after the first man ever, Yuri Gagarin, escaped the earth’s gravitational field briefly to orbit the earth, just once. Think of that. What were you doing in April 2002, just 11 years ago? Imagine the progress! On the day they went, a HP12-C pocket calculator cost more than $500 which in real terms (today’s money) would be almost $3,500. The total computing power on board the Command Module was less than what you have today in your smart phone. At number 3 in the UK music charts was I’m an Urban Spaceman by the Bonzo Dog Doo-dah band. Earlier in that year, 1968, Martin Luther King and Robert Kennedy were assassinated. Richard Nixon had just defeated Hubert Humphrey in the presidential election, but Lyndon Johnson still occupied the White House; the War in Vietnam was in full swing, as was the resistance movement, boiling over into the Summer of Love. Then this happened: after circumnavigating the moon, being the first men to see for themselves the dark side of the moon, that cold desolate monochrome place, those same three men saw something quite remarkable, more remarkable even than the lunar landscape they were flying over. They saw earth, rising above the stark atmosphere-less horizon, not a full earth but a waxing earth, half in light, half in shadow, but beautiful, blue green and white. Our planet. Earth-Rise. Wiliam Anders took this photograph on December 24th, 1968. The film made of this event is stunning. 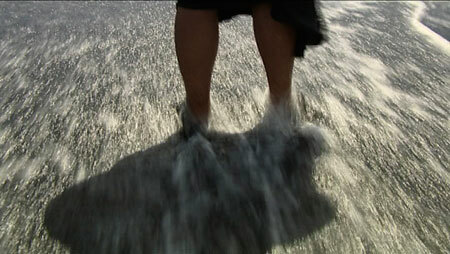 The impact of the image seen for the first time comes across in the joyous outburst by the crew. Even at mission control in Houston, engineers gazed amazed at their monitors. Back in 1948, the British astrophysicist Sir Fred Hoyle predicted that when spaceflight enabled us to see the whole Earth from space, the view would change us forever. He was right. I saw this film first, projected onto a huge screen erected in the Rajasthan desert, on September 23rd 2013. With around 100 others, I saw it beneath the stars and, yes, the moon. In the 45 years since that amazing moment, many of us were experiencing it for the first time. No man has trodden on the moon since 1971, so we can safely assume that going there is of no great import. What clearly was of great import was seeing Earth this way for the first time. Now ‘Spaceship Earth’ really meant something. The second time I saw this film, I was sitting in the ballroom at the Hyatt Regency on Capitol Hill in DC among 240 trustees of The Nature Conservancy, and the film was introduced by Colonel Ron Garan, a retired US Airforce Pilot and NASA Astronaut, who had participated along with two Russian Cosmonauts on the 50th anniversary mission on a Soyuz TMA-21 launch vehicle spending 13 months on the International Space Station. When Anders took his famous Earth Rise photograph, Garan was 7 years old. In an article posted just a few hours before this post was written it was announced that “Trees sewn with particles of gold excite Australia’s mining industry“. On a first read of this title one might suppose that there is going to be a rush to start mining trees for gold, and that, despite our environmental concerns about deforestation, there will be yet another incentive for cutting down of trees en-masse. The article states. however, that the amount of gold contained in trees is so minute that it would take hundreds of trees to produce enough gold for a wedding ring. Instead of being a source of gold, the trees’ only potential is as an indicator of where gold deposits might be found beneath the surface. On the one hand, this news might grant us a sigh of relief, with hundred’s of trees now spared by the mining industry. While the scale of the impact of gold mining is probably difficult to imagine and unknown by most people, one of the artists in the Earth Matters exhibition is all too familiar with it. Here I am referring to Gabonese artist Nathalie Mba Bikoro, whose performance “The Uncomfortable Truth” was featured in the exhibition and on the Earth Matters website (http://africa.si.edu/exhibits/earthmatters/bikoro.html). 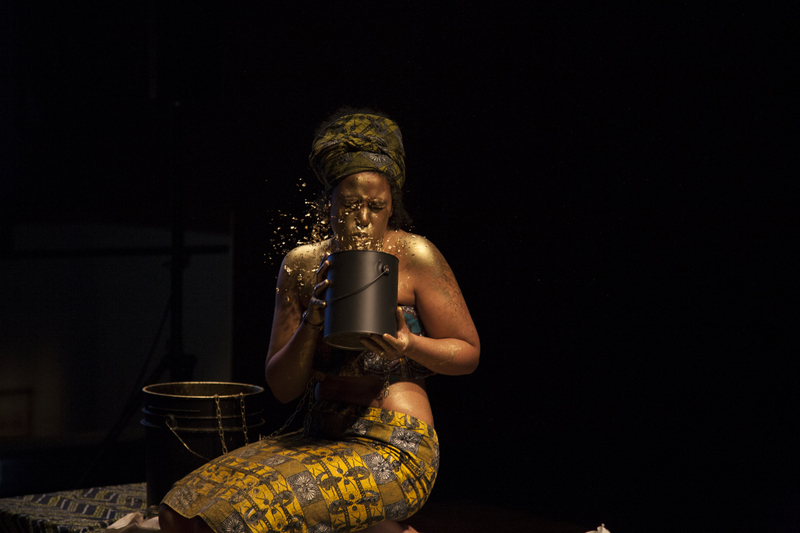 In this unnerving performance, Bikoro lays bare the suffering endured by so many Africans, and so many people close to her, that was inflicted by the mining industry’s hunger for land and profit. You can also hear Bikoro talk about her work in a recent interview on aadart.com. Today’s guest post comes from former NMAfA intern Chelsea Ellsworth. Having joined the NMAfA team at one of the busiest and most crucial times – during the install of the show – Ellsworth got a first hand view of all the work it took to execute this ambitious exhibition. One of the most ambitious pieces, perhaps, was Moroccan artist Hassan Echair’s site specific installation Ascension. 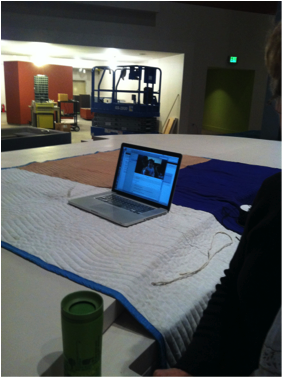 Not only was it one of the most ambitious pieces, it was also the first artwork at NMAfA installed via skype, with the artists supervising the installation in DC all the way from Morocco. Below, Ellsworth gives us an account of some of her experiences with this work and with Earth Matters. My name is Chelsea Ellsworth and I worked as an exhibits intern at the National Museum of African Art in Washington, D.C. I helped the exhibits team to install the show Earth Matters from January to April and had the opportunity to work specifically with one artist in particular, Hassan Echair. Hassan Echair created a piece entitled Ascension that was to be reproduced for this exhibition at NMAfA but, as he was located in Morocco, we had to prepare his piece for him remotely. At the start of my internship, I was asked to source and purchase materials for Hassan to make this piece here at our museum. As time went on, I was assigned additional projects in the preparation of this piece. As I worked on these projects, I had many questions for Hassan that I sent via email. Some of these were translated using an online translator but others were so complex that I sent them to some friends who spoke French so that they could translate them more accurately. Despite the language gap and the physical distance, Hassan and I were able to communicate in order to prepare his piece for the exhibition. 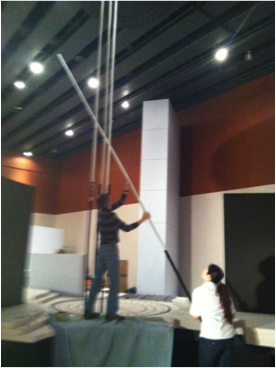 Eventually, Hassan notified us that he would not be able to come and install the piece, leaving its completion to us. As a result, I had the exciting opportunity to create and oversee this piece while working with the Exhibits installation team. As the rest of the team was busy working on other aspects of this exhibition, I took responsibility for this piece and got to work preparing all of the components for assembly. 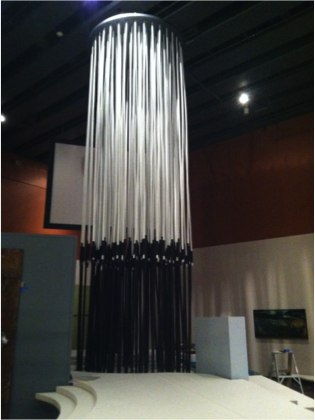 My supervisor, Kevin Etherton, and I worked together each day to assemble this piece and to prepare it to show to Hassan. We continued to communicate via email with Hassan but we got to a point where photos and emails were no longer enough to get this piece completed. We then scheduled a day when we could have a French translator and a Skype connection with Hassan in Morocco. That day was very interesting as I was able to communicate with Hassan directly for the first time and see his reaction to what we had done with his design. I was anxious to hear his feedback and worried that he would find something terribly wrong, but I was glad to hear that he loved the work we had done and was pleased with how his piece had turned out. He gave us some minor alterations here and there and then sat down with me on Skype and demonstrated how to properly tie his bamboo poles together, something that would have been very difficult to figure out through email. I loved working on this piece and I am glad to say that we completed Hassan’s piece and he was pleased with the results. I loved having the opportunity to speak with Hassan and to see his reaction to our weeks of hard work and I am glad that we were able to create this fantastic work of art together. 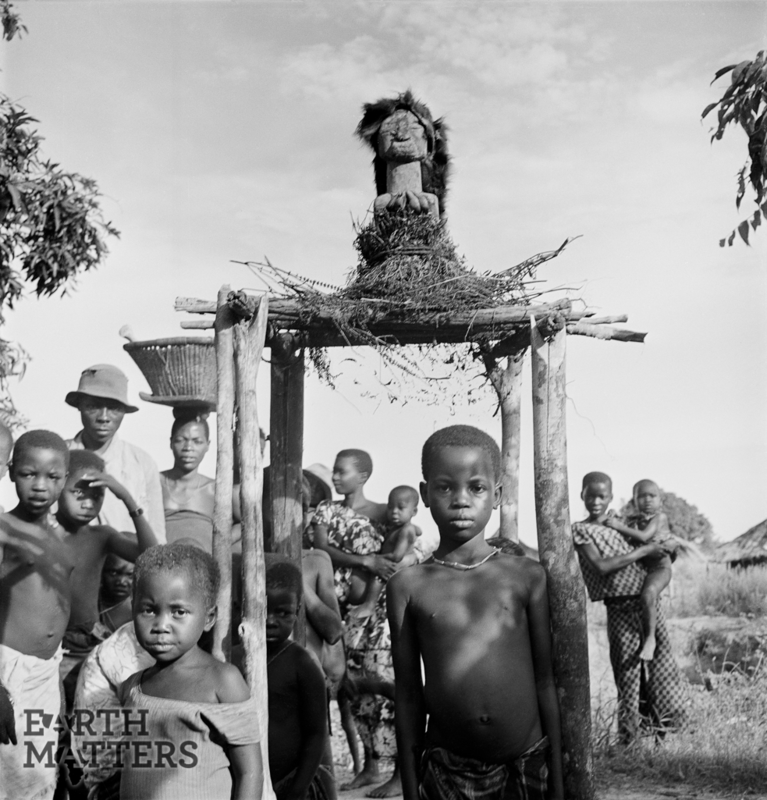 Songye power figure, protector of the village, Nsapo region, Congo (Democratic Republic). Photograph by Eliot Elisofon, 1947. Most of the people who have seen the Earth Matters exhibition or read the posts on our blog know that one of the pressing environmental questions of our day is the disposal and recycling of electronic waste, better known as “e-waste”. This has been a particularly important question for the Earth Matters’ folks because so much of the world’s e-wase ends up in Africa. It was just last July that two e-waste recycling company executives in the US were handed prison sentences for claiming to recycle e-waste when they were, in reality, just exporting the waste to developing countries and dumping it (click here to see the article). 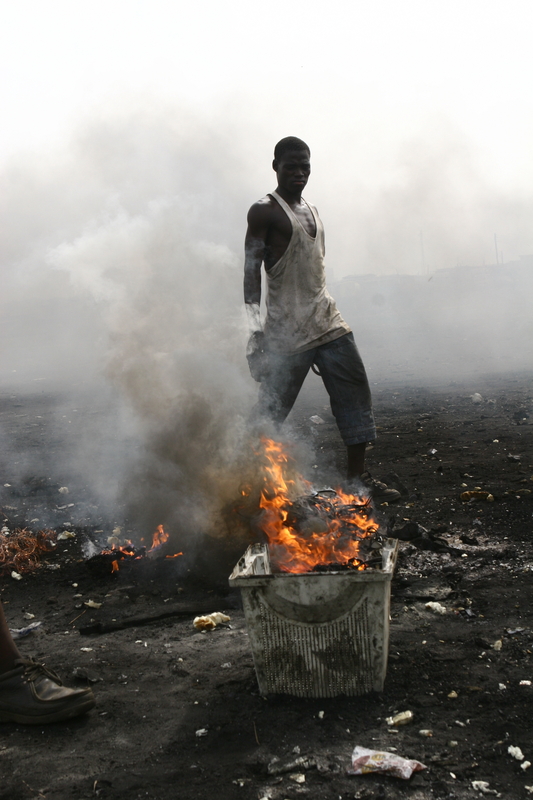 At least two of the photographers in our show, Nyaba Leon Ouedraogo and Mikael Subotzky, have documented the e-waste dumps in Africa, particularly the Agbogbloshie dump near Accra in Ghana. From this site come horrific images of the young people who scavenge the waste dumps and burn away the carcasses of old computer to salvage the little bits of metal that are actually recyclable. Of course, there are many more photographers documenting these environmental and human atrocities, and there are many more charlatan recyclers making big bucks exporting our e-waste. But what about legitimate e-waste recycling? In an article from the Science Daily that was published a couple of weeks ago, one finds this leading caption “One of the first analyses of laws banning disposal of electronic waste (e-waste) in municipal landfills has found that state e-waste recycling bans have been mostly ineffective.” The article did offer a small glimmer of hope saying that California’s cell-phone recycling program has had an impact. But otherwise, e-waste recycling has moved terrible slow in comparison to America’s consumption of e-waste. In my home state of Maryland, e-waste recycling laws were passed in 2007 and 2005 which charge fees to in-house manufacturers of televisions and computers that, in theory, provide funding to research groups and municipalities to help implement recycling of e-waste. But how effective are they? At present, many of the landfill facilities do accept e-waste. Just a tidbit of what I found on the web for Maryland “ecycling” is below. But determining how effective they are would take the kind of investigation that was undertaken by the Basel Action Network (BAN), a non-governmental charitable organization working to combat the export of toxic waste, toxic technology and toxic products from industrialized societies to developing countries, who helped convict the recycling executives mentioned above. We can all be glad that BAN is working to answer questions that we cannot, but a good start for our readers would be looking into their local ecycling programs and making sure to properly dispose of their e-wast, which is toxic to our world when not controlled. Sections “Community eCycling Collection Events“, “Permanent Collection Sites for Residents“, “Electronics Take Back and Recycling Programs“, and “Additional Resources for Residents and Businesses” contain resources availalbe for residents to recycle their old electronic equipment. If needed, please contact your County or MDE for additional help. Today’s guest post comes from South African artist Ledelle Moe. 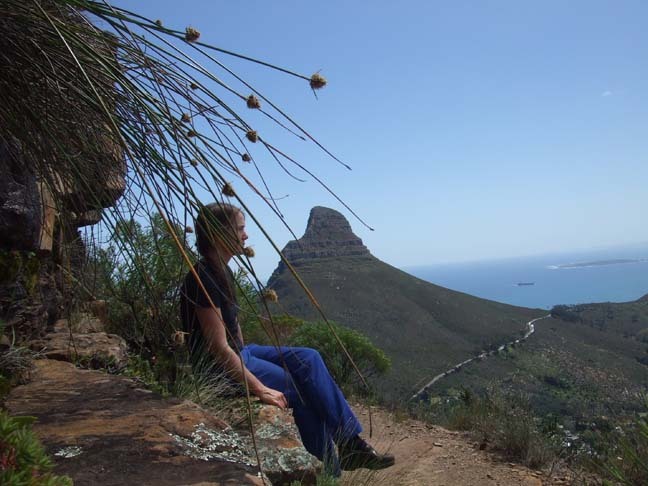 Although born in South Africa, Moe’s heritage is geographically diverse, as are the many places she has lived. Often dealing with place and identity in her work, Moe created a stunning outdoor sculpture for the Earth Matters exhibition. Below are her reflections on the meaning of this work and her creative process. In preparing to write for this blog, I have reflected on journeys travelled. Outside of the everyday of “being” in a place, the conscious trips I have taken feel like important pilgrimages. The ones I will site touch base with the beauty and history of South Africa. On the 6th of October, I travelled with a friend to Robben Island for the day. During this trip an ex-political prisoner guided the tour through the cells. Nelson Mandela’s autobiography-“Long Walk to Freedom” came to life as my feet walked through the place that he has written about in so much detail. The book itself is a history lesson and an adventure story. It follows a man whose bravery and convictions, trials and triumphs are explained in a way that makes you feel as though he is writing you alone. I re-“read” the book as an audiotape while driving across the country last year in preparation for making the work at the African Museum. 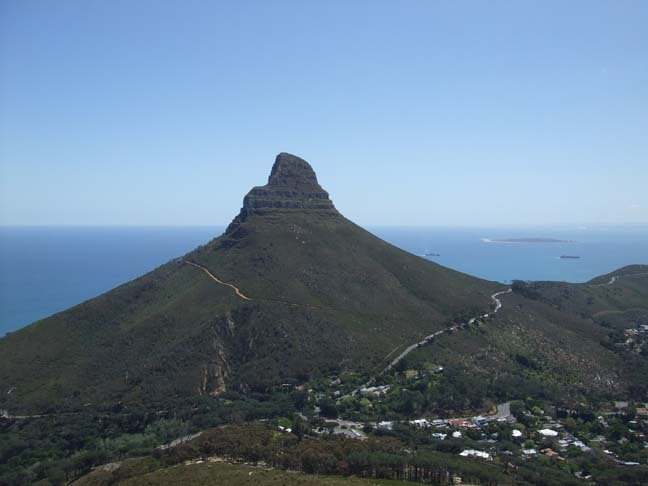 His story and my journey from Cape Town to Durban had overlapping points such as Mthatha and I felt awe at being able to access this amazing country to revisit it and acknowledge its richness no matter how complex and difficult the history. The trip to Robben Island left me with a heavy weight of the history of the prison and South Africa and as a result I felt compelled to try and understand the people that were victims of horrific injustices. In each cell there is now an image of the prisoner and a paragraph in their own words of the time spent there. Since then I have been drawing small pen and ink cameos of each person. This helps me to slow down and remember and walk through this history. Both the visit to Robben Island and the trip across country reminded me of the thoughts Carol Becker articulates in her book “Thinking In Place” In this book she speaks about the impulse to travel to a place that holds a personal and political history, her reflections being, that through the act of making a pilgrimage to a place a possible reconciliation with the past and history of that place is possible. 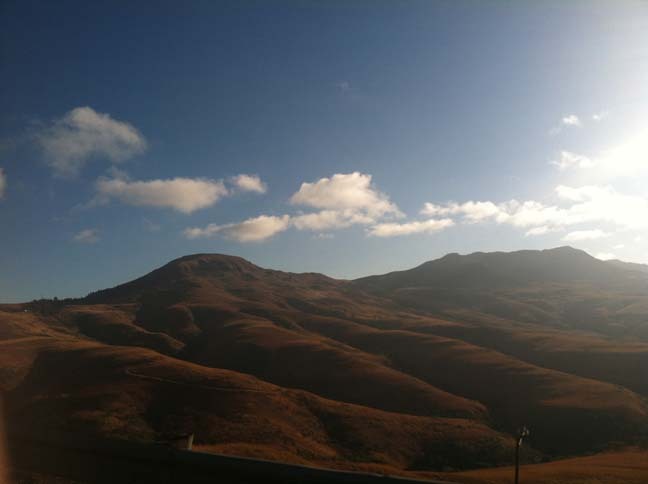 During my cross-country trip last year I stopped in a town called Elliot, not far from Mthatha. 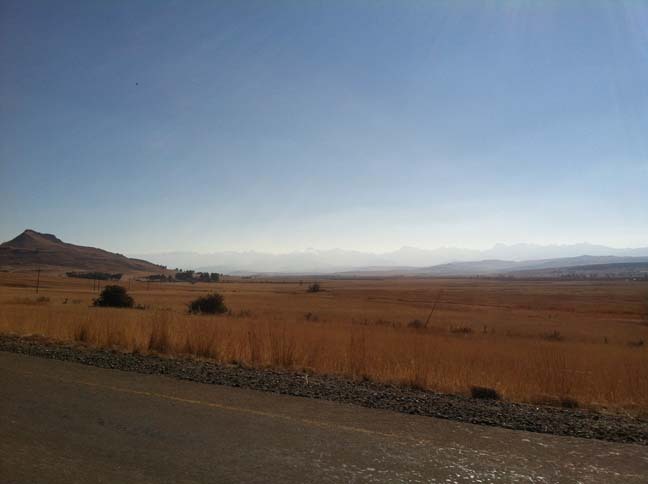 It was this landscape that I used as inspiration for the work at the African Museum. 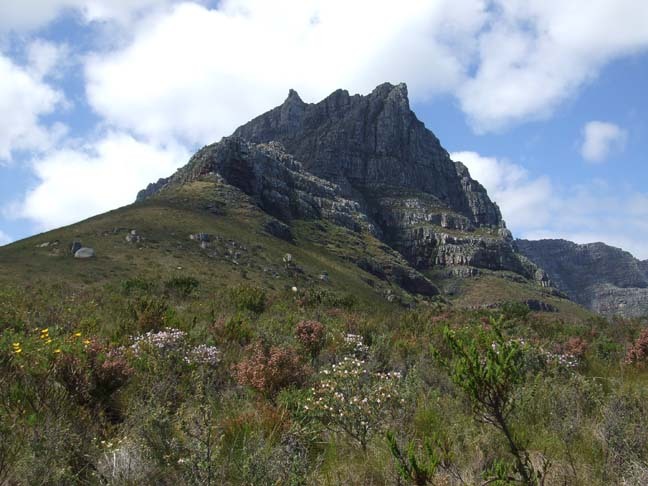 The land itself makes up the base of the Drakensberg Mountains and has a unique place in the evolution of colonial South African territorial history and land claim. It marks one of many junctures of land ownership issues that are pervasive throughout South Africa. The small figures that are attached to the larger form of the sculpture were made from an accumulation of soil that I gathered along the trip. 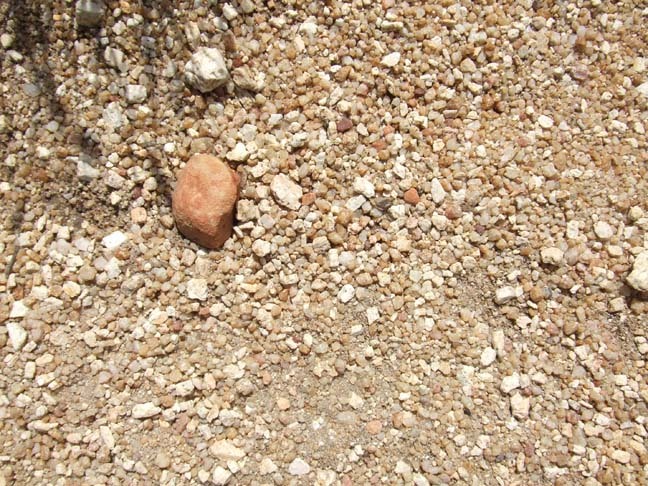 In taking the soil, I acknowledge the place I am in, while also removing a small part of that place and displacing it. In doing this, I felt it was a small gesture of “land claim”- of taking what is not mine and acknowledging that act. This investigation was a reflection of the migrations of my own family. 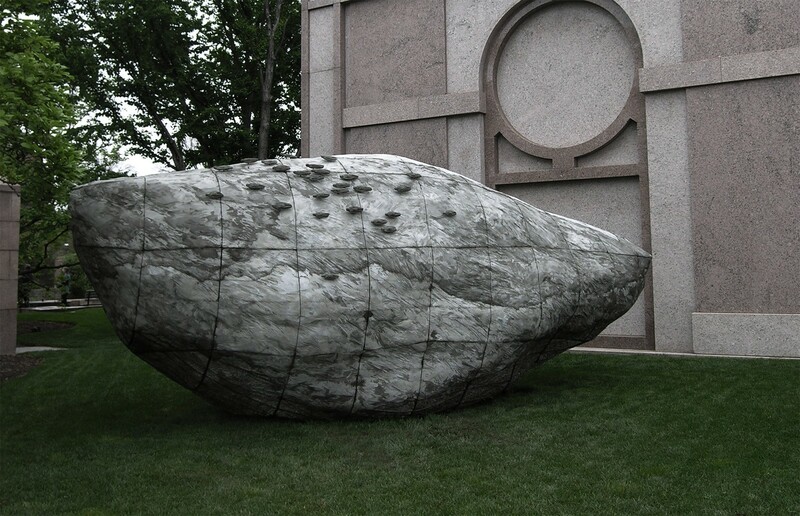 The articulation of the work itself, I hope speaks to a connection and disconnection, and of collective and individual grouping of peoples as they move transiently through and from the land. 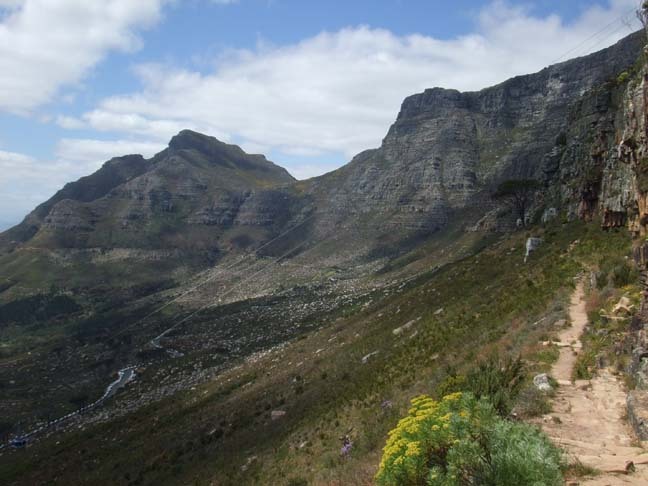 As I sit here on table mountain writing this, I can reflect on this geography, explore this history and yet its with this distance that I begin to understand the place I have called home in the States in more focus. 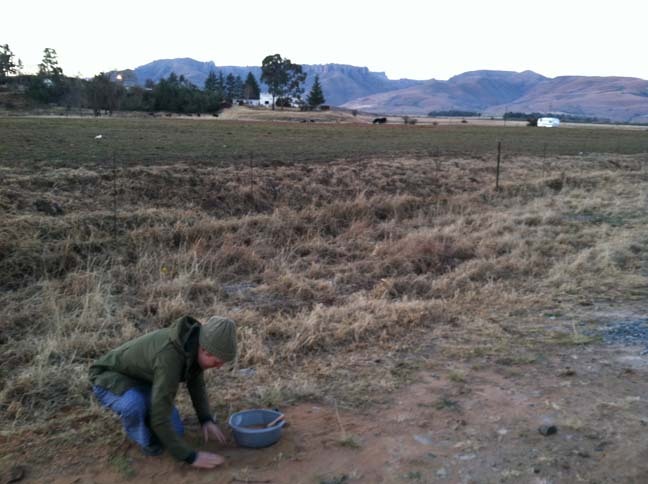 Similarly, when in the States the distance allows me the perspective to understand South Africa. It is with this paradox and duality that I feel very grateful to be able to participate in the show “Earth Matters” – that asks us to consider the earth under our feet and acknowledge it.